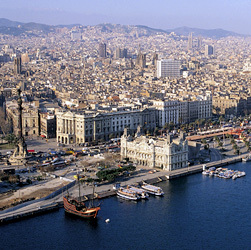 Cincom is pleased to announce that ESUG's exciting list of speakers for the 2010 International Smalltalk Conference in Barcelona, Spain includes Cincom Smalltalk experts. You’ll learn about new developments in the Smalltalk world, what is planned for Cincom Smalltalk’s future and how others like you are using Smalltalk. Be Sure to Join Us at the ESUG Agile Day! The Cincom-sponsored Agile Development Day is Thursday, September 16. Agile methods have long been a part of the idiom and style of Smalltalk programming. On Thursday, hear Agile pioneer Joseph Pelrine discuss the dangers of “Retrospective Coherence” along with many more presentations regarding Agile development processes and Smalltalk. Our summer releases are available! We’ll be discussing the new releases of ObjectStudio®, VisualWorks® and WebVelocity™ during several of the Cincom sessions. We’ll provide each attendee with a non-commercial copy of all three of these powerful development tools.